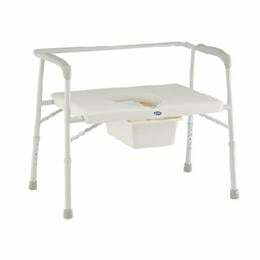 The InvacareÂ® Bariatric Commode is designed to suit the needs of bariatric individuals. With its extra wide seat and durable steel frame design, it offers consumers the strength and comfort they need. Overall height 25" to 29"
Seat to floor height 17" to 21"